Sen. Josh Hawley has been subpoenaed to answer questions about his handling of Missouri's open records law while he was the state's attorney general. The Cole County Circuit Court issued the subpoena Monday as part of a lawsuit against Gov. Mike Parson's office. St. Louis attorney Elad Gross, a Democratic candidate for Missouri attorney general in 2020, filed the lawsuit. He is seeking records involving communication between the governor's office and A New Missouri, a political nonprofit supporting former Gov. Eric Greitens' agenda. Parson's office said the records would cost $3,600. 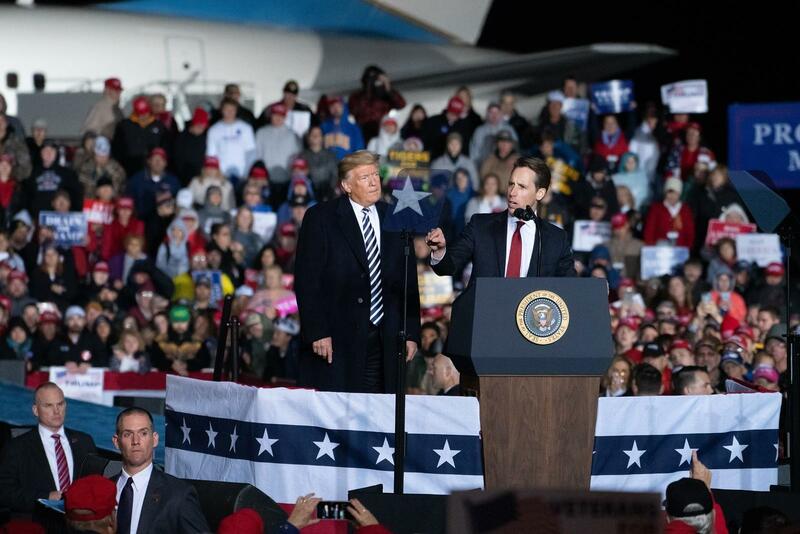 The Kansas City Star reports Hawley's spokeswoman, Kelli Ford, called Gross' efforts a political stunt. When asked if Hawley plans to quash the subpoena, Ford called the request frivolous and said Hawley isn't party to the lawsuit.